Community newspapers and their websites are hyper-local. They effectively represent the neighbourhoods they serve. And they are able to target these communities like no other medium. 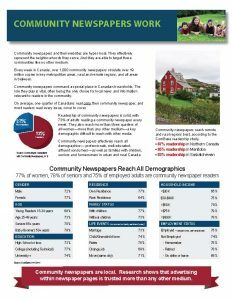 Every week in Canada, over 1,000 community newspapers circulate over 19 million copies in key metropolitan areas, rural and remote regions, and all areas in between. 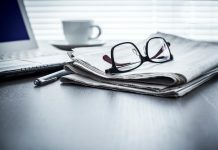 Community newspapers command a special place in Canadian households. 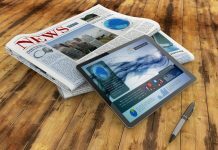 The role they play is vital, often being the only choice for local news and information relevant to readers in the community.